No more rusty looking signs!! 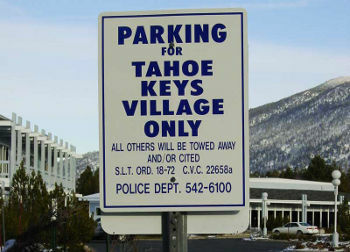 Light-weight and strong, aluminum parking signs are durable and easy to hang sign. When you are looking for a perfectly smooth, baked-on, high gloss painted finish, aluminum signs project a premium quality image, and it will outlast almost any material. It is extremely durable to the elements. We also offer brass, raw aluminum, bare steel, aged-steel, powder coated steel and other finishes. Cut metal letters and miscellaneous iron-work is also available. We can design and cut metal in any shape you can dream of. We also sell custom made steel sign posts in square, u-channel and rounded format. We will make your sign, dig your hole and set concrete and install your posts with one easy call.